Swiss Chard Burger – Top Secret! There are songs that become so famous that the writer can make her fortune off of just a single tune. This Swiss Chard Burger recipe is that song. You can kiss those days goodbye when you glibly sauntered by a display of chard without a clue as to how to make it palatable. Today, the secret is unveiled, and we have Julia Richardson to thank. It took me several years to convince Julia to share this heavenly recipe, so if it leads to anyone’s fame and fortune it should be hers. When you figure out how to get the money to start rolling in, you can contact Julia through me. After all, she’s my sister. Wash the chard well. Separate the leaves from the stems as shown in the 45 second video below. Run a small knife along the edge of each rib. Add the stems to a large pot and cook them on medium heat in the water that is still clinging to them, just until they are tender. 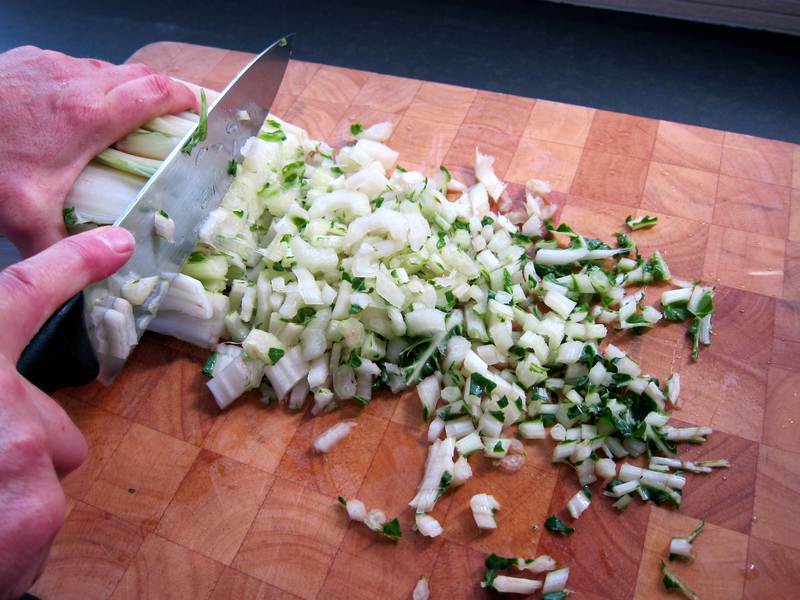 Add in the leaves, and cook until they’re tender, tossing every once in a while to keep them wilting evenly. Strain the chard, keeping the liquid for soup stock. 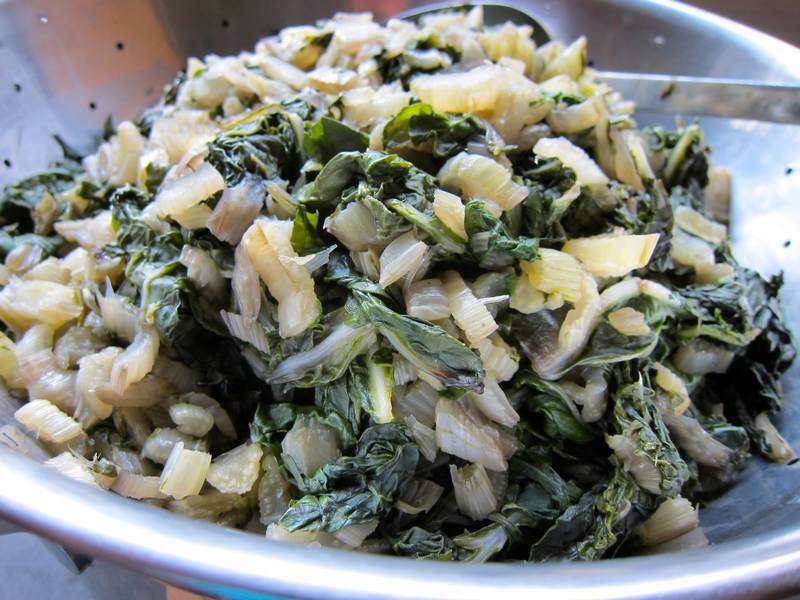 Once the chard has cooled, grab handfuls and squeeze out all remaining liquid into the soup stock, placing the dry chard into a large bowl. You don’t want excess water in your batter as it would change the texture and make the burgers too wet. Roughly chop the cooked chard. 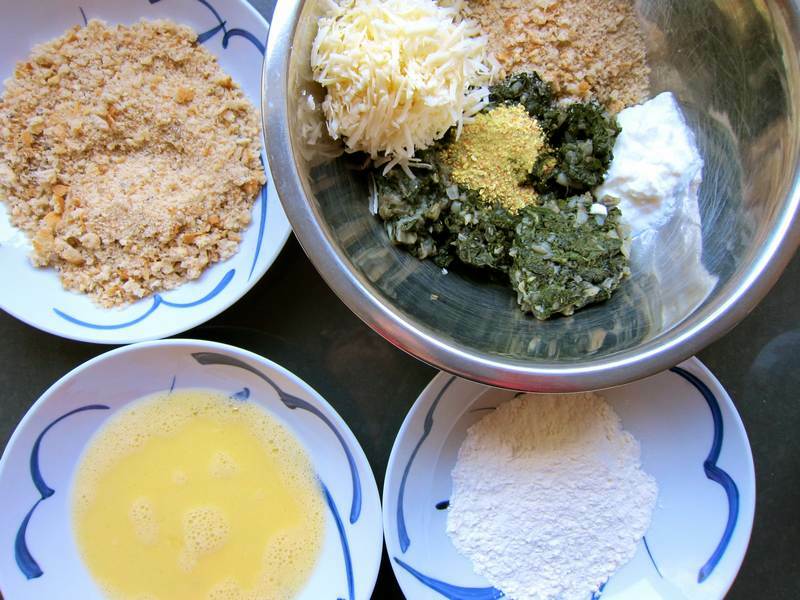 Combine the chard with the cheese, Vegeta, yogurt and 1 cup of the breadcrumbs. Mix well. 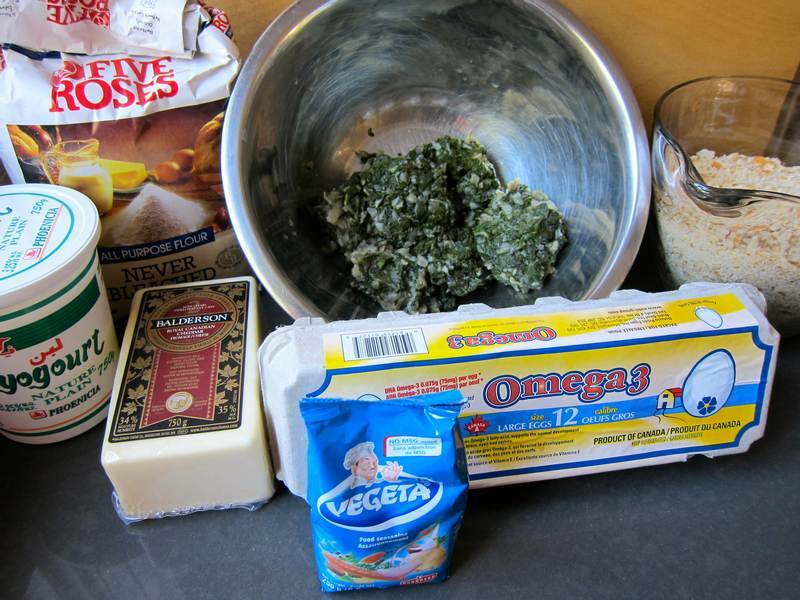 Form the chard batter into 12 burgers. Cover a baking pan with parchment paper. 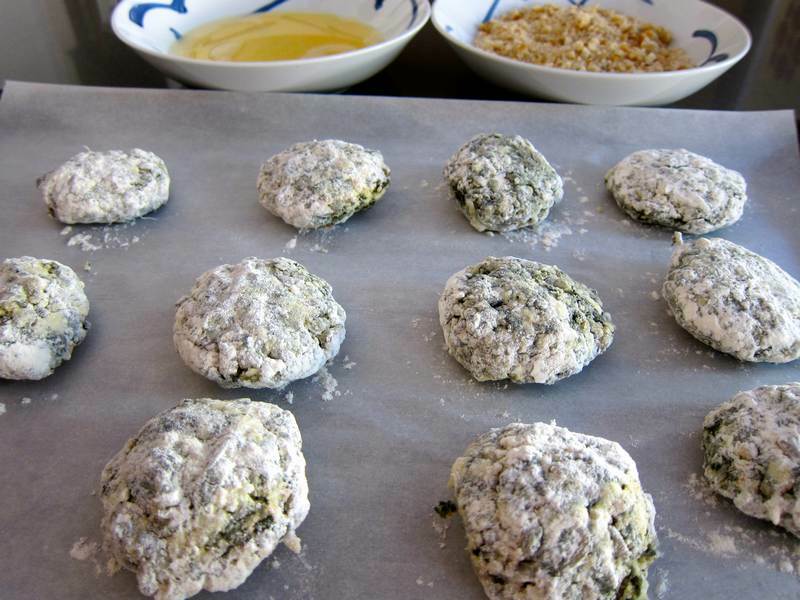 Dip all the burgers in the flour, one at a time. 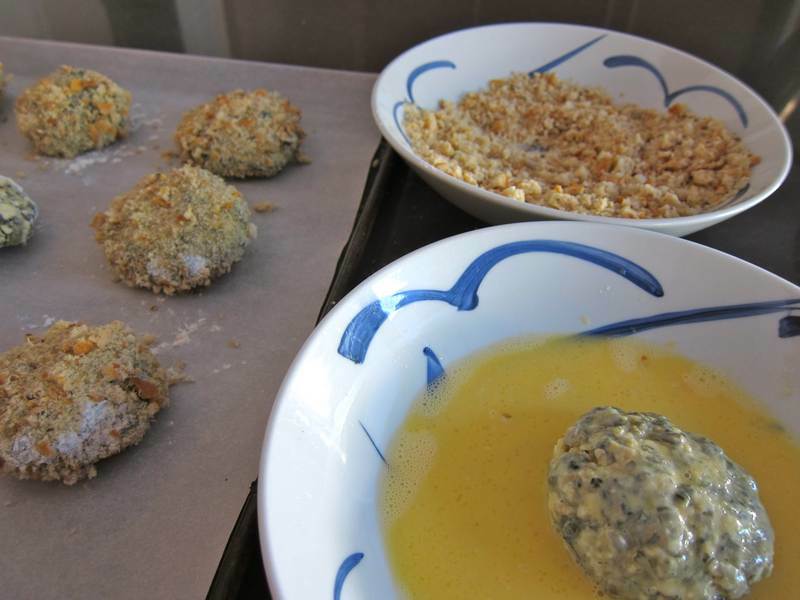 Use your right hand to dip the burger in the egg bowl, then your left hand to coat it in breadcrumbs. This way the wet and dry ingredients stay separate. Bake at 400F for 20 minutes, flipping once at half-time. Freezes well at this stage. Makes about 12 Swiss Chard Burgers. When ready to eat, heat a frying pan with a little oil and brown on each side. You can press down on the burgers with a spatula, to flatten them as they cook. This method uses less oil than a traditional frying method. You want the burger to be nicely browned on both sides. 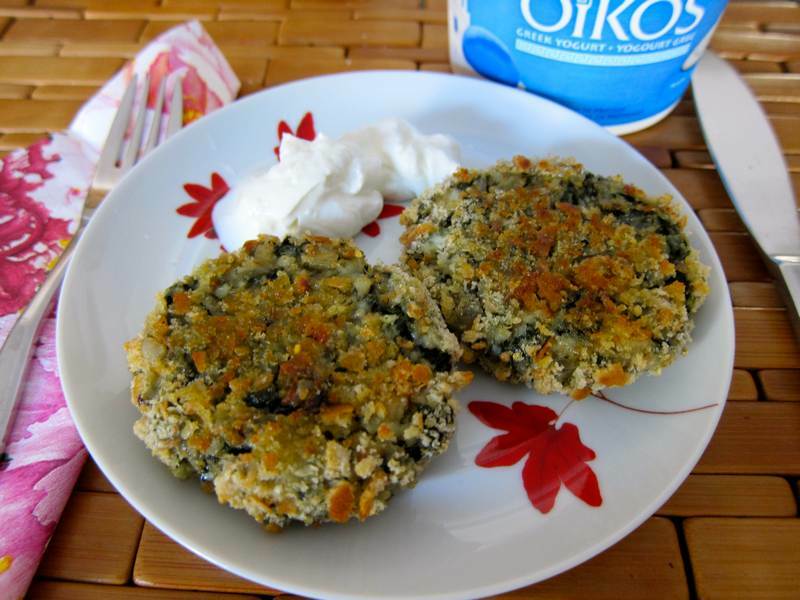 Serve with plain yogurt or sour cream with a pinch of sea salt or with a poached or fried egg on top. Special thanks to Julia’s Croatian friend Ranka, who shared this recipe with her about 30 years ago. Thanks to her we can all enjoy this special treat. Check out our son, Jared Simms interview. He’s a world sought after DJ and has a record label called “My Favorite Robot“. Congratulations to Eveline, from Cote St. Luc, for winning the set of Jittery Cook grocery bags. Put some in the freezer for me I watched the interview I hear Marvin when Jared speaks 🙂 many words same inflection U hear that ? Got some in the freezer. Yes, they have similar intonations. Thanks for the shout-out for the Swiss Chard recipe at http://www.thecabingarden.com (formerly http://www.thekoeringcabin.wordpress.com). These burgers look awesome! Thanks! They do taste wonderful. Crowd pleasers! This sounds like an incredible recipe and thanks to your sis! I just found you on the FBC FB group. I am following you on Pinterest now and pinned your recipe. I like this community.